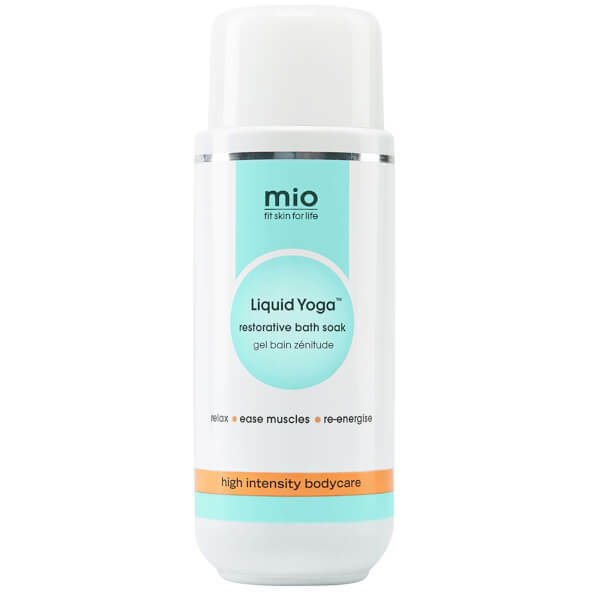 Experience the benefits of Mio Skincare's Liquid Yoga Bath Soak, a moisturizing bath formula with Epsom salts to comfort tired, stressed, aching bods. Enriched with a blend of essential oils, mineral salts and herbs, the bath soak helps calm racing minds whilst its deeply nourishing properties are harnessed from omega-rich murumuru butter. On par with a relaxing massage, the bath soak can help reduce the feeling of tight, fatigued muscles and dry, wanting skin feels soothed. - K.N. Free from sodium laureth sulfate and sodium lauryl sulfate (SLS), parabens, petrolatum, colorants, xenoestrogens, PEGs, glycols and phthalates. Pour a good glug into a warm running bath. Take your time, stretch out and clear your mind. Then step out of the bath, feeling brand new and ready to face the world again. Liquid Yoga is blended with magnesium-rich Epsom Salts so you will need to SHAKE BEFORE USE. What a fabulous product this bath soak is. I love it. The smell is out of this world. My skin feels soft and clean after and the beautiful fragrance lingers on my skin for some time. I like to get straight into bed after bathing in this luxurious soak and drift off in a cloud of liquid yoga fragrance! The minute I took the lid off this product I fell in love, it smells amazing and leaves my skin super soft! This deliver!. I live in a city where the water is very hard from chlorine etc. I add vitamin C tablets, which helps take care of the chemicals. When I add this, wow! My skin is super soft from the minerals. It's a must have to complete the bath experience, in my opinion.